Scientific research identified the best methods for improving the water quality in Lake Elsinore and Canyon Lake, all of which are the basis for LESJWA’s projects. Efforts to identify and implement the most effective solutions for improving water quality and wildlife habitats included hiring a research team of leading water industry experts to complete scientific studies necessary to identify the most effective lake and watershed clean-up projects including these projects below. 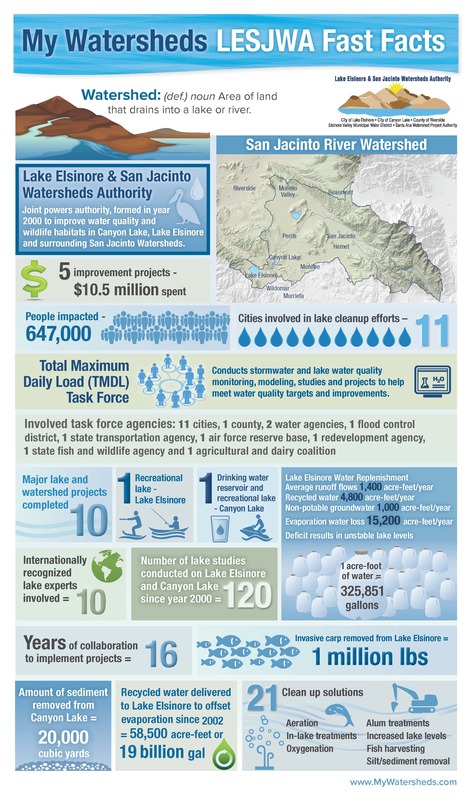 Most of the current lake improvement studies and implementation measures are now being conducted to assure compliance with the TMDLs and are led and funded by the Lake Elsinore/Canyon Lake TMDL Task Force, which LESJWA administers. 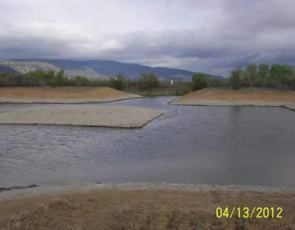 LESJWA received a Prop 40 Grant to enhance a portion of an existing 356 acre mitigation wetland. Removed more than 1 million pounds of carp from Lake Elsinore. 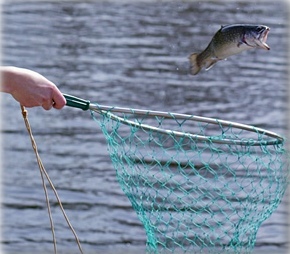 Carp stir up nutrients on the lake bottom, which can cause harmful algae blooms. Island wells produce one million gallons of water a day to help stabilize Lake Elsinore’s water level. Added hybrid striped bass in Lake Elsinore to help control overpopulation of fish that disrupt lake water quality. Mixes lake water to increase oxygen levels, improve water quality and reduce harmful algae growth. Removed 20,000 cubic yards of excess sediment from Canyon Lake and improved water quality for recreational use. In addition to new shallow water habitat in the Lake Elsinore Back Basin wetlands area, future efforts will help establish diverse aquatic plant communities at both lakes to increase biodiversity and improve water quality.